Learn Karate on DVD and you get fantastic instruction! You can play lessons over and over and make sure you learn absolutely everything there is to be learned. No more being passed over in class, or waiting for some fellow who learns slower to take up your learning time! First thing, find the type of Karate you wish to study. If you have taken Karate in the past, Whether Kenpo or a classical Karate or whatever, this is easy. If you don’t have martial arts experience, then you need to consider several things. One, is the karate style one that you can study alone? Can you get enough learning from the karate kata, and how much do you need a partner? This is something you should decide based upon need and desire. When buying a Karate DVD you must pay attention to the instructor. Fame is a great thing, but can Mr. Fame get his idea across on his martial arts video lessons? Does he present the ideas so that they are understandable? When inspecting the DVD, whether on line or in a store, consider what, exactly, is being offered. 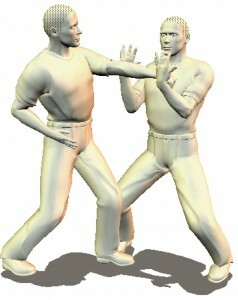 There are many different methods of teaching, and when dealing with a whole art like Karate, you must be careful. Analyze the lessons so that you get beginner, intermediate, and advanced instruction. Now, does the fellow offer just fighting tricks? It would be better to have some forms, with a few minutes of fighting to how the forms work.You actually want a blend of form, self defense, and actual fighting. Take a close look at how the karate instructor teaches the material. If he is teaching one karate kata, and proudly saying that it is presented from eight different angles in slow mo so that you can see the master’s every move…pass on it. If he is teaching a variety of karate forms, and he shows two angles and then goes through the kata while going over every move, this is good. In closing, let me say that the price of instructional DVDs today is one of the greatest deals in town. When you find that style of Karate you want you really want to learn, the doors of perception are going to open, you will become more fit and better able to defend yourself, and you will be glad that you decided to learn karate on DVD. Have you read the Wudan Assassin? One Response to Learn Karate on DVD to get the Best Martial Arts Instruction!